The Steinbridge Group has formed a strategic partnership with Lowe’s Alacrity Services, a subsidiary of Fortune 50 firm Lowe’s Corp., to build out its single-family residential platform. The partnership is part of the New York-based investment management company’s plan to acquire and renovate 400-500 rental homes and small multifamily properties in Philadelphia as part of a roughly $425 million push into the urban residential sector, said Steinbridge CEO Tawan Davis. Alacrity, one of the largest rehab contractors in the country and an expanding division of Lowe’s, will manage teams of local contractors who will carry out renovations. “One of the reasons we chose Alacrity is because they’re a national firm that will help us to manage the rehab process as well as construction risk,” Davis said, adding that Steinbridge will continue the Alacrity partnership as it rolls out its urban residential platform in other markets that will likely include Baltimore, Newark, New York City and others in the Mid-Atlantic/Northeast region. Steinbridge is currently focused on three Philadelphia neighborhoods – University City neighborhood of West Philadelphia around Drexel University and University of Pennsylvania, Point Breeze and Brewerytown. “We have been able to create value on our properties in those areas,” Davis noted. 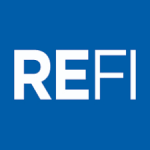 Read the full article at REFI.